It's human nature to want to quickly finish our tasks. We all take shortcuts, citing time as an excuse. Yet how much time do we really save by circumventing safety regulations? As it turns out, not much. The extra time invested in doing a task safely is insignificant (see chart below), especially when compared to the personal and professional costs of injuries or death resulting from taking shortcuts. Statistically, employees are six times more likely to experience accidents or injuries as a result of unsafe behaviors than unsafe working conditions. One large insurance firm reported that 92% of their injury and workers' compensation claims occurred because workers were not performing their tasks properly. Why do employees continue to take shortcuts on the job? Is it the demands of the job? Is the employee attempting to impress his or her boss with their level of production? What can you do to change the mindset? Remember - there is no shortcut to safety. Time invested in performing a task safely is minimal when compared to the high financial and emotional costs associated with death, injury and disability! 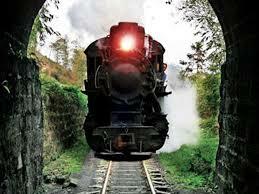 A 500 yard long train, travelling 90 mph, enters a tunnel four and a half miles long. How much time elapses between the moment the front of the train enters the tunnel and the moment the end of the train clears the tunnel? "The fewer moving parts, the better. No truer words were ever spoken in the context of engineering." If you have a wet, sticky, stringy or lumpy product to convey, using a typical screw conveyor design with a center shaft is problematic. Wet, sticky materials can adhere to the screw, reducing capacity and increasing both wear and power usage. Stringy materials can wrap around the center screw. The Orthman Shaftless Screw is manufactured in one continuous helix. Because the screw rides on the bottom of the housing on a replaceable liner, hanger bearing supports are unnecessary. Designing out the center pipe eliminates buildup of wet sticky products and a location for stringy products to wrap around. 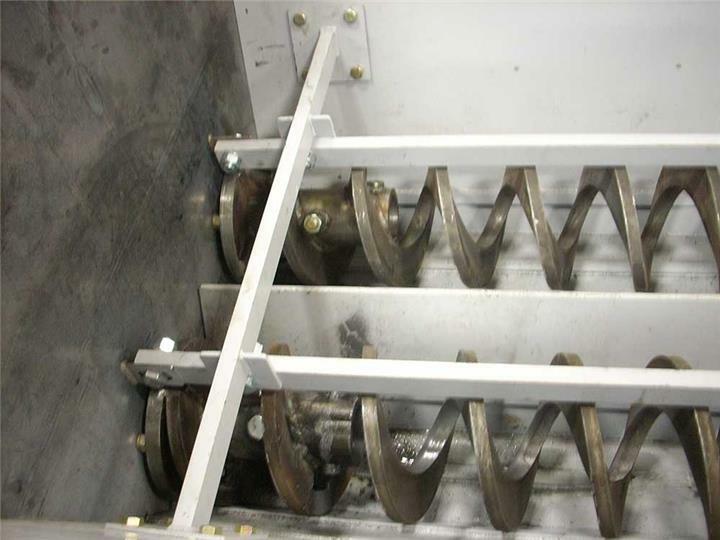 Totally enclosed, the shaftless screw conveyor helps contain odors, keeps extraneous materials out, eliminates spills, and minimizes maintenance. For more information, contact your TEC representative or visit Orthman Conveying.